car hire Spain booking made easy!! Car rental in Spain and economic car hire - We offer a service of economic car hire Spain, Europe and USA with all guarantees of quality and dedicated customer service. Enjoy latest car hire Spain models with prices that include unlimited mileage, taxes and fully comprehensive insurance in most of the cases. Economic car hire in Spain, Europe and USA. 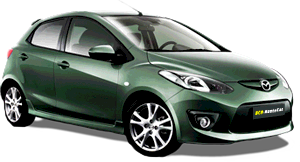 Car hire Spain - See how easy it is to rent a car in Spain with us. Simply select the location and pick up and return dates, select the car group that best suits your needs and ask for availability and make your reservation request through our booking system. Do not forget to check the specific conditions of each of our car providers.